If you are looking for the top free things to do in Colorado, this is for you. Colorado offers excellent opportunities for fun, free activities all year round so you will find something inexpensive- guaranteed! We love Colorado for the many unique and cheap activities to do with families. 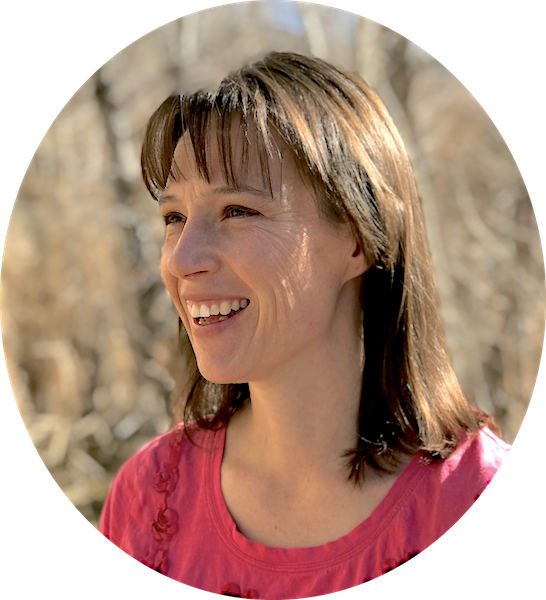 Unfortunately, most of the guides are written by people from the city (or out of state) and focus on things to do in Denver and Colorado Springs. Amazing places exist all over the state, so we decided to include the best things to do in the whole state of Colorado. 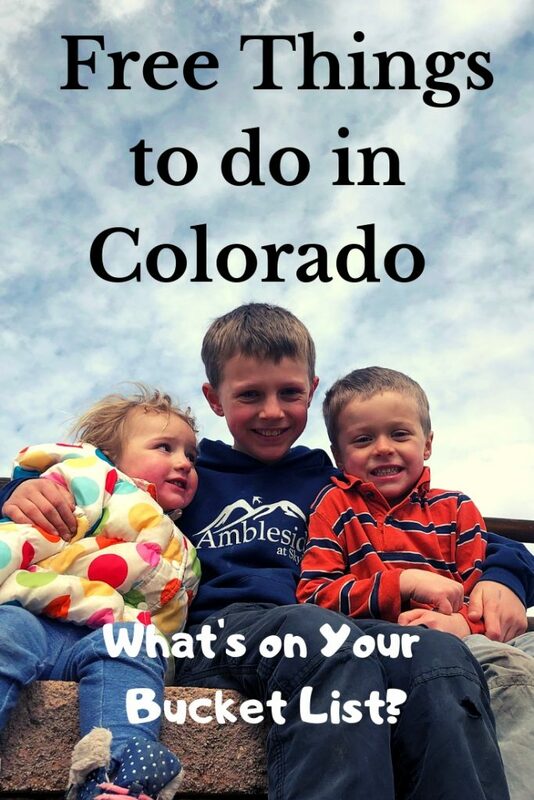 By the end of this guide, you will be ready to plan your Colorado family vacation on a budget. This travel planning guide will help you plan your Colorado trip. A vacation to Colorado doesn’t have to include expensive activities. 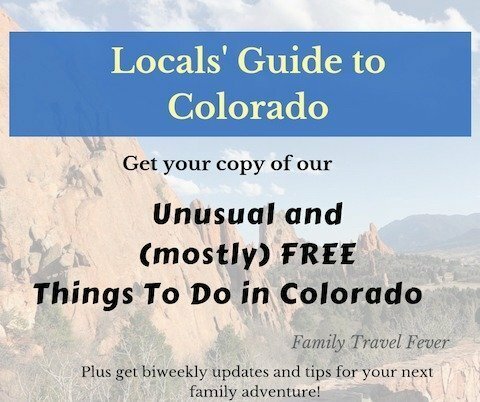 If you want more than 10 ideas for free activities – you will enjoy this free mini-ebook of 75 free and cheap things to do in Colorado. With 1,300 acres of sandstone formations, the Garden of the Gods is one awesome city park. 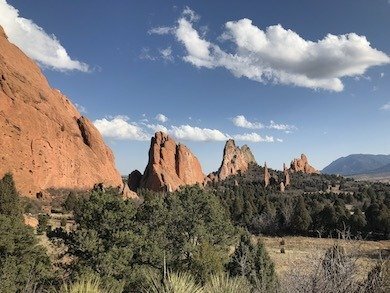 Colorado is known for the beautiful vistas and you will not be disappointed by this must-see National Natural Landmark in Colorado Springs. You can experience the view for free from your car, take a short (or long) hike, scramble around on the rocks or have lunch at one of the 2 picnic areas. When you visit, make sure to start at the visitor center. You can get a map of the area, enjoy the viewing deck and the educational exhibits for free. Then head across the street into the park. After visiting Garden of the Gods the kids voted that playing on the rocks here was their favorite thing to do in Colorado Springs. Hiking is an extremely popular activity in Colorado and its totally free. Hanging Lake trail in Glenwood Springs is a beautiful but strenuous hike. 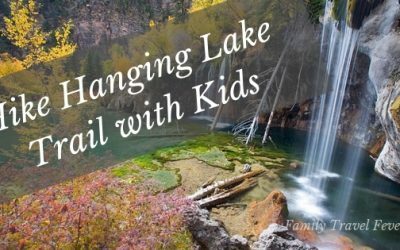 For adventurous families, this a fun hike that ends in a beautiful lake and waterfall. You will find the drive to the trailhead through Glenwood Canyon spectacular. An elevated highway winds through the narrow canyon along the Colorado River. For more details on our experience on Hanging Lake trail read more here. The Colorado Escalante Canyon (not to be confused with the Grand Staircase) is near Grand Junction, Colorado on BLM land. This is an amazing place hidden in the Upper Colorado Plateau region and our top pick for free camping in Colorado. You will be camping with the locals because this is a very scenic and historical part of Colorado but very unknown. Don’t worry, the main roads are easy to travel but the side roads will require and 4 wheel drive. The canyon scenery is spectacular and offers many rock climbing and rating opportunities. The history dates back to ancient times with petroglyphs and settlers’ cabins to explore. 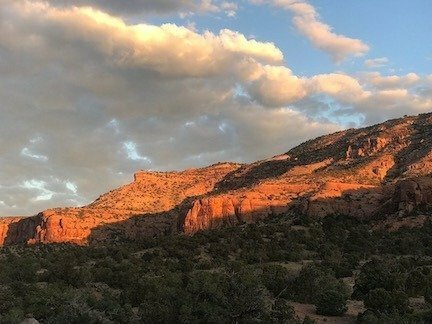 We wrote about our camping experience at Escalante Canyon. 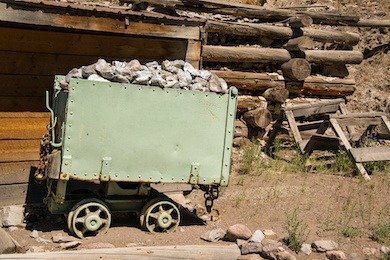 Creede was founded on mining at the turn of the century and has a 17-mile historic driving tour with well (and not so well) preserved mining equipment. The self-driving tour goes through the silver mining district and the Bachelor townsite. You can get a guide book in town and follow the loop through mining locations from the 1890s and abandoned ghost towns. You will see silver mining equipment, train tresses, ore carts, tailings piles, wildlife and more. Fun fact: The Lone Range was filmed here in 2012 and you will recognize mine scenes after driving the loop. 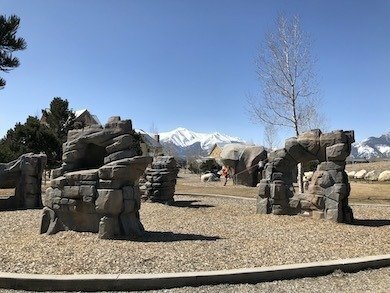 The Boulder Garden is a perfect place for kids to boulder and practice their rock climbing skills. The boulders, climbing walls, and slacklines are all different sizes and heights so toddlers, big kids, and adults can all play. Actually, the River Park is a whole complex of free activities for families in Buena Vista. We found a whitewater course, park with playground, skate park, dog park, disc golf, sports fields, picnic areas, and hiking trails. We hiked along the trail, threw rocks in the Arkansas River, watched kayakers paddle past, and some surfers practicing in the whitewater course. 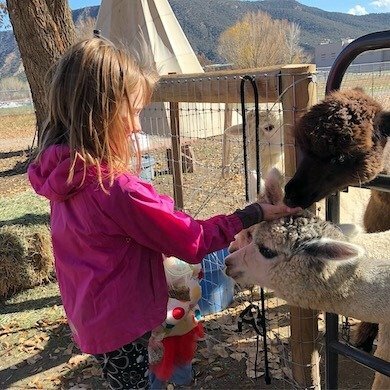 At Sopris Alpaca Farm in Silt, you can pet the cute alpacas and shop in the little boutique in the scenic Colorado River Valley. Every weekend there is an Alpaca related craft. The weekend we visited, the kids painted wind chimes. Bring your camera because the view of the valley, the hogback, and the white-capped Mamm peaks is beautiful. The farmhouse, outbuildings, tepee, and alpacas can keep a photographer clicking away all day. Penny Hot Springs are of the six undeveloped hot springs where you can soak for free in Colorado. These are particularly easy to access because the hot springs are right off the highway 133. You can be soaking in the Crystal River in just a few steps from your car. Expect primitive hot springs with rocks forming the pools in the side of the river. Follow Highway 133 towards Carbondale and a pull out parking lot is located just north of mile marker 55. Park there and hike down the river. Ouray, known as the Switzerland of America, it has a vibrant main street that is registered as a National Historic District. The town is tucked in a narrow valley in the San Juan Mountains. The peaks appear to rise straight up from the edges of town. The historic district of Victorian and old western town style buildings is 8 blocks by 8 blocks. You will find quaint shops and yummy treats. 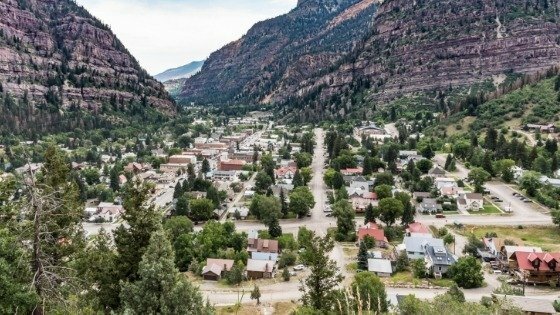 There is a walking tour all year long that is listed as one of the free things to do in Ouray, Colorado. If you go in the winter, this historic district is decorated for holidays. Ouray is known for ice climbing in the winter. 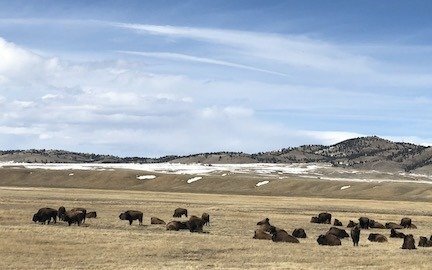 Colorado is full of wildlife but one of the best places to view wildlife and Buffalo is at the Genesee Buffalo Overlook. This is an easy stop along I-70 just 20 miles west of Denver. You can watch this large heard of bison owned by the City of Denver from the overlook. You can also get a spectacular view of the peaks along the Continental Divide. If you want more best places to view wildlife right from your car are Rocky Mountain National Park, Guenella Pass, Walden, South Platte River Trail, San Juan Skyway, I70 Genesee Buffalo Overlook and Mount Evans. A list of free things to do in Colorado would not be complete without this beautiful location that is a favorite swimming hole with the locals. The Grottos area is just off Highway 82 on the way from Aspen to Independence Pass. We have 360-degree video footage from this area if you want to pull out your VR googles check it out! These hiking trails, waterfalls, swimming holes and picnic area in White River National Forest are fun for kids of all ages. The small parking lot does get busy in the summer so go early or on a weekday. 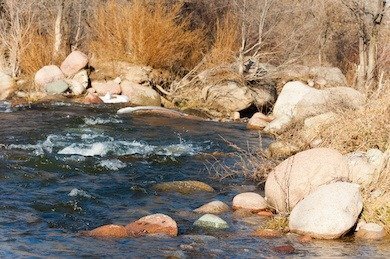 You can be playing the creek in late summer and fall but it is safer to enjoy the view of the water during Spring runoff. The playground at Santa Rita Park is huge and so much fun. The kids can run, spin, slide and jump on the playground or make music on the outdoor musical instrument. All right along the Animas River. In 2016, this park got a complete makeover. 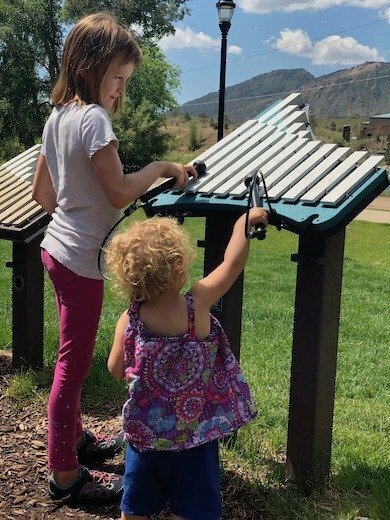 New equipment was installed and Durango High School students participated in designing the park to be accessible to all kids. If you get tired and hot, you can walk the trail to the Animas River, throw rocks and watch the kayakers in the whitewater course. You can afford a family vacation by saving money for your travel fund and reducing the cost of the trip with free activities. For more ideas how to save money and reduce the cost of your trip, read the ultimate guide to saving money for a vacation. We love to play in the Colorado warm sunshine and the snow. We spend the winter outdoors sledding, hiking, or ice skating so if you are looking for ideas for free activities in Colorado winter – we got you covered! What is your favorite fun, free thing to do in Colorado? Tell us in the comments. I can add your favorite free activity here too! 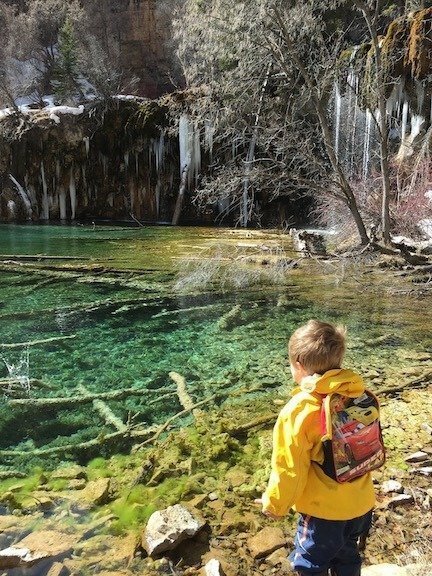 Bridal Veil Falls and Hanging Lake trail in Colorado is one of our family’s favorite hikes in all seasons. This steep hiking trail, in Glenwood Canyon, ends in a magnificent turquoise lake and waterfall. 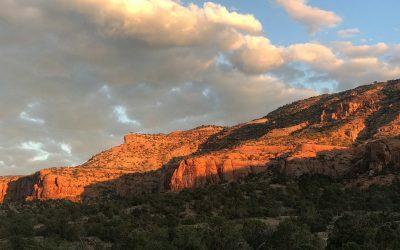 Dominguez-Escalante National Conservation Area is the place to be for spectacular sunrise and sunset views, swimming for kids and free camping in Colorado. This is an amazing place hidden in the Upper Colorado Plateau region. The scenery is spectacular. The history dates back to ancient times with petroglyphs and settlers cabins to explore. Although we did not check out the rock climbing or rafting, those are popular in the area. Inspirational travel quotes to share with your whole family. 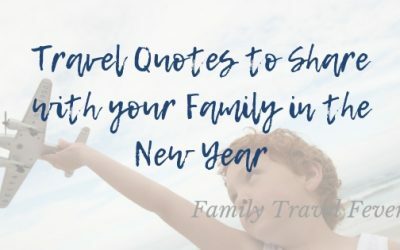 These quotes will remind you to get out and travel the world with your family this year. Hi, I'm Shauna. Welcome to our blog. We are a large unconventional family, sharing our adventures and stories of traveling together. We know modern families are frequently unconventional - blended, multigenerational, single, large or small. We believe all families should travel together. It's just that simple. Do you have a passion for travel? Subscribe to our biweekly newsletter. You will be inspired by our excitement, laugh at our mishaps and learn some tips and tricks for traveling together. 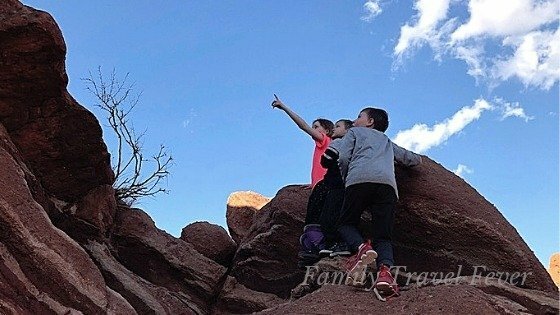 Mini E-Book of over 75 Free (and Cheap) things to do in Colorado with kids. The book is a gift for signing up for the newsletter. Thank you! Check your email to confirm that you want this awesome resource!